Pitch for Coffee Mix, new coffee brand that wanted to launch in China. Idea: The world is too busy and stressful; having a coffee is a moment for you, a break into daily routine to recharge your battery and start fresh. For an instant, Escape reality. 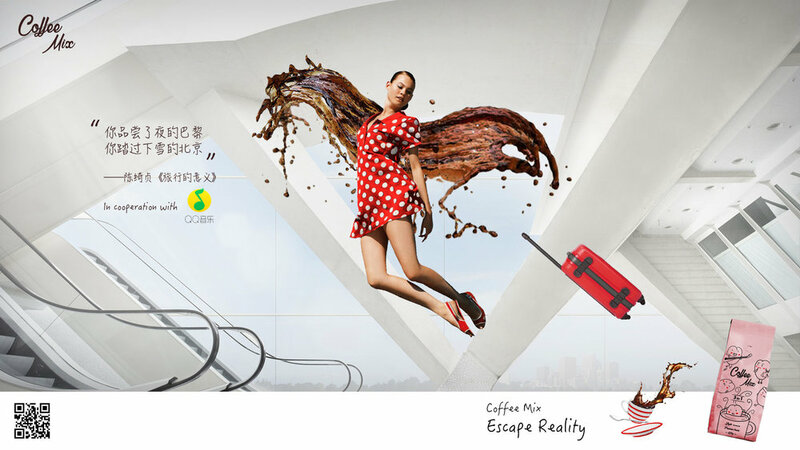 Branding TVC for Coffee Mix promoting the coffee break instant to escape reality and start fresh. For this campaign we collaborated with QQ music and invited everyone to discover new artists and songs on QQ music enjoying a free musical break.